This photo shows one singing (they have a beautiful voice, too) next to a stream. I was hiding near that stream observing some cormorants and kingfishers, and the Bluethroat was a very welcome surprise! What do I like about this photo? The beautiful bird, with a background that augments it. I used an open aperture (f/6.3 - the most open my lens supports at the focal length of 400mm that I used) to get a shallow depth of field - so the Bluethroat is sharp and the background is blurred out. 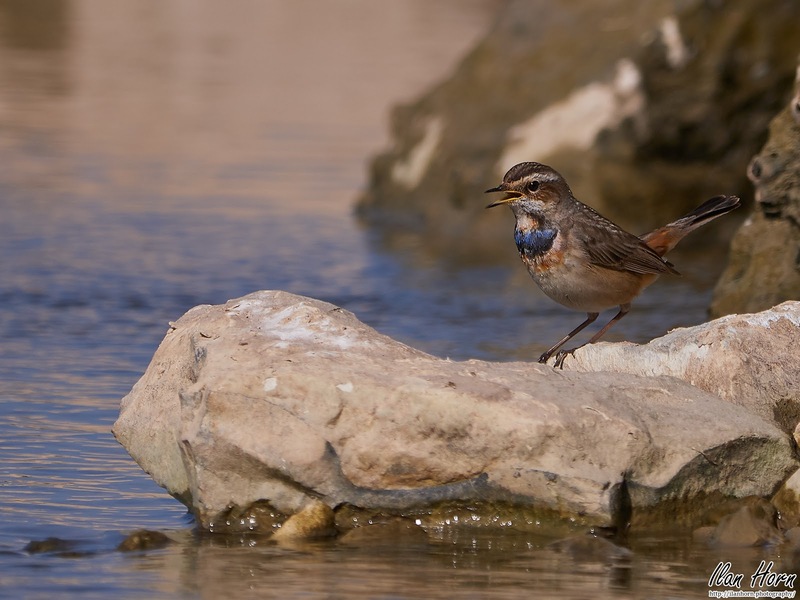 The water and rocks add some interest to the photo, showing the Bluethroat in its natural surroundings. Catching singing action is a huge plus, in my opinion. What would I want to improve? I would have liked to be closer, so I could get more details of teh beautiful Bluethroat. Also, a more open aperture would have blurred the background more, making the bird stand out even more.